In August, The Counterfactuals, a band mostly comprised of Carleton College professors, invited me to document their recording session. The band released their first album last year, and got some solid traction in the Minnesota music scene. The school has been really supportive of their music, and wanted images and a short film documenting the band as they recorded their new album over the summer. In the basement of the concert hall at Carleton, The Counterfactuals took over the band/choir rehearsal room as a recording studio. I'm excited to share one of my latest large project. This fall I worked with Carleton College, my own Alma Mater, to script and film a video promoting bike friendliness of the campus and surrounding area. I was really happy to work on the project, especially having been the Carleton Cycling Team president while I was in school there. The area around campus is gorgeous in the fall, with cornfields starting a mere five minute ride from the edge of campus. I wanted to present three stories of how people on campus use their bikes; looking at the cycling team, a professor who commutes daily by bike, and the rest of the student body that uses their bikes every day just get to class or head downtown. Music by Lushlife, recorded from the soundboard. 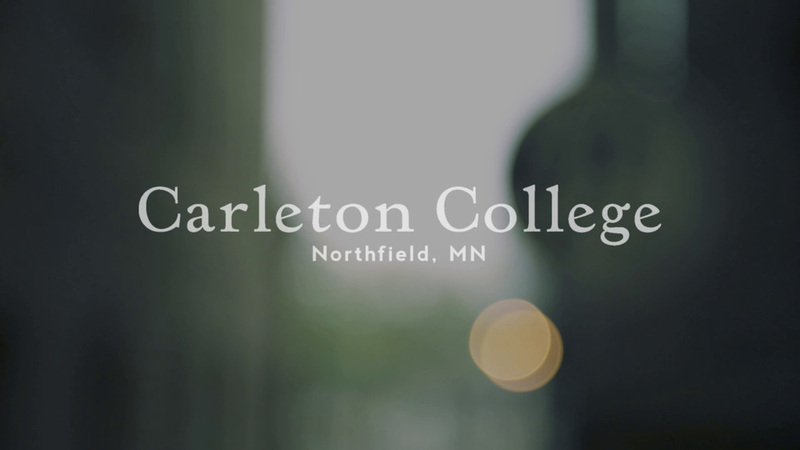 Last Saturday I returned to Northfield to film Carleton College's Spring Concert. Each spring term studies pause for a day while nearly everyone on campus gathers behind the Recreation Center for a day in sun with live music. The lineup always has a huge range of genres. I was working on a few projects related to the concert, and actually drove down initally Friday monring to setup a time-lapse camera high up on a goalpost showing a wide view of the field. For the majority of Saturday, however, I was filming a mix of the concert and the festivities, trying to show the fun festive time everyone has while enjoying the sun and music. Its now time to organize all the great footage and start the edit process. I've got a lot of footage so the edit will be a big project, but it should a lot of fun, trying to just as much fun and silly footage as possible into a roughly a roughly 3 minute recap of the day. Stay tuned and post the finished film as soon as I can.